Sally's Spa download. 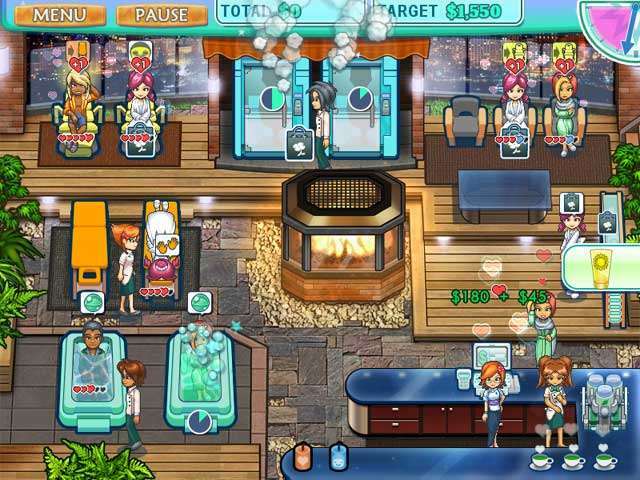 Free download Sally's Spa game. Sally's back and ready to take the spa world by storm! Indulge yourself with hours of fast fun in ten original spa locations around the world. Refresh your customers with facials, manicures, massages, and more. Enhance your clients' spa experience with more than 65 upgrades for your rapidly growing business. Blushing brides, demanding fashionistas, relaxing couples and many others are looking to melt away the stress with a day at Sally's Spa. Won't you join them? More Than 65 Upgrade Items! We have no player reviews for Sally's Spa yet.